Trained as an anthropologist and having been a marketing manager, I’m generally interested in the role of culture and interpretation in innovation, product development and design. Specifically, I examine how marketers interpret the information they gather about markets and consumers and then apply the resulting “insights” when designing products or managing brands. My paper, "Tales of Seduction and Intrigue: Design as Narrative Agent of Brand Revitalization," co-written with Aysar Ghassan and published in the Journal of Marketing Management, examines how brands thrust into crisis by cultural change can use design to tell a new story and thus reset consumers’ relationship to their products. We began with an observation: in England, where my co-author lives, the Mars candy company replaced its king size chocolate bars with two smaller bars, now called Mars Duo. It's part of an industry trend where confectionary companies have responded to concerns about the impact of sugar and fat on public health by replacing extra large bars with multi-portion formats. 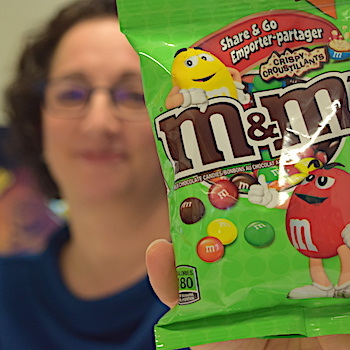 My colleague noticed the change, as well as something curious: the only difference between the Duo and the king size formats was the number of candy pieces; the total product weight and caloric content were identical. Discussing the seemingly benign change, we wondered: did Mars think its consumers wouldn’t notice the Duo was a king size bar divided in two? And were we the only ones who ate the second bar rather than share it with a friend or reseal the package and “save it for later” as the wrapper suggested? Tracing both the introduction of chocolate bars to the market and the particular history of the Mars bar, we were surprised to find that for most of its history, Mars had actually touted its products’ size and sugar content as points of pride. During World War II, Mars bars were distributed to troops and promoted as an excellent value and source of calories during civilian food rationing because sugar provided energy. After 75 years, the company had to respond to a revised cultural narrative in which sugar and fat are noxious and their consumption a sign of gluttony. Despite reports of an obesity epidemic, candy consumption has continued to increase. To explain this paradox, we theorize that Mars is engaged in seduction and its consumers are complicit in the ruse. We find that by redesigning its products’ format, packaging and messaging, Mars has created a kind of plausible deniability for consumers, implicitly allowing them to narrate their purchase intentions as altruistic (“I will be able to share!”) rather than self-indulgent. In other words, just as both parties are aware that an invitation to “Netflix and chill” isn’t really about watching television, our research shows that marketers leverage design-based resources to communicate stories to an audience willing to suspend disbelief.